Fossil Free RI held its first meeting on April 3rd 2013 at the University of Rhode Island. Fossil Free Rhode Island spurs real action on runaway climate change, which poses a mortal threat to the web of life of which the human species is a part. We seek justice for those on the front lines of climate change both locally and globally, which includes low-income communities, people of color, indigenous populations, and vulnerable communities in general. All institutions that serve the public good should divest from fossil fuels. Sign up for Fossil Free RI email alerts. The Raimondo administration still welcomes Polsky’s Invenergy’s and continues the pursuit of its Jobs on a Dead Planet Program. Their isolation is becoming more painful by the day. 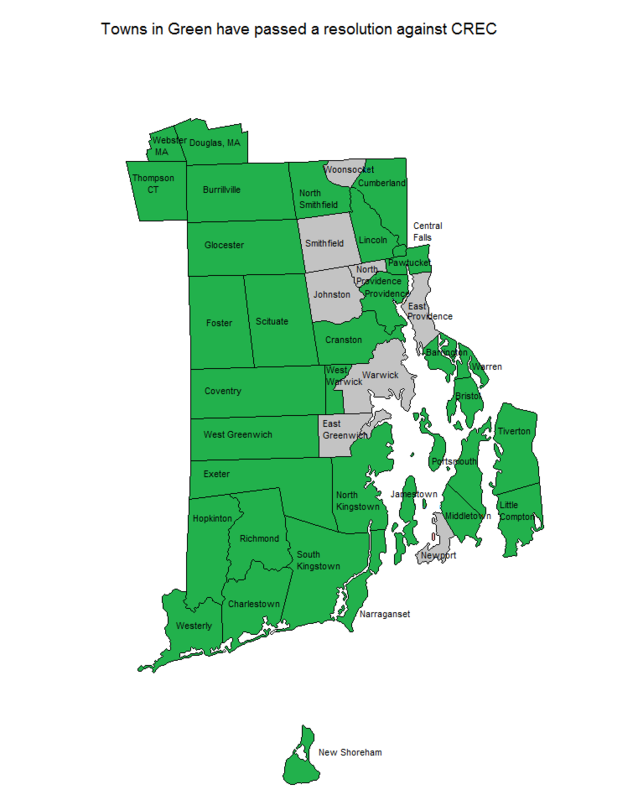 Click on each of the links below to send an email to some of our RI leadership. Just add your name, or personalize the message for greater impact. The governor also supports a new fracked-gas fired power plant that has been proposed for Burrillville. Senator Sheldon Whitehouse is on record supporting fracked gas as a bridge fuel. For the longest time, he had not taken a position on the power plant. Finally, he shows his true colors: Sen. Whitehouse backs Burrillville power plant. We’re still waiting for the senator’s position on the other fossil-fuel projects in RI, such as the Fields Point LNG facility in Providence and two successive build-outs of a compressor station in Burrillville to service a massively expanded pipeline. Just remember, they say “jobs,” but exports is what they mean. Ignoring the health risks of fracked gas and building new fossil fuel infrastructure at a time when we need to slash our greenhouse gas emissions is unconscionable. Fracked gas is worse for the climate than coal and oil. Burrillville and Fields Point are not sacrifice zones, nor is Earth. Please send out those emails! The ruling class will survive climate change just fine — thank you! How many busloads of climate heat victims each year?